Come warmer weather and most of us are not only preparing for spring cleaning, but some house renovations as well. Of all the rooms in a house, the kitchen is probably an area where most people gather not only to cook and dine, but also to socialise. Hence, a kitchen that is highly functional and makes use of space cleverly is a great choice. Putting in country kitchen design ideas to life not only makes it cozy and homely, but also gives a different look and feel. Modern kitchens often use bright or light colours, but one of country kitchen design ideas is to use natural wood such as pine, oak, or beech on cupboards for the right look. For floors, you can choose natural stone or the same material you use on your cupboards for a truly country feel. If your kitchen has enough space, put an island in the middle. It’s a great bridge between your counters, sink and cooker. Adding a wash basin on an island is also a fantastic idea or you can just use it as a breakfast counter. To combine modern and country look, use appliances with metal or fit a stainless kitchen sink which can go well with the country look in your kitchen. Glass cupboards are elegant, but you can use a combination of open-front cupboards and closed shelves. In addition to displaying your fave crockery, it is also easy to reach out for something when you’re in a hurry. 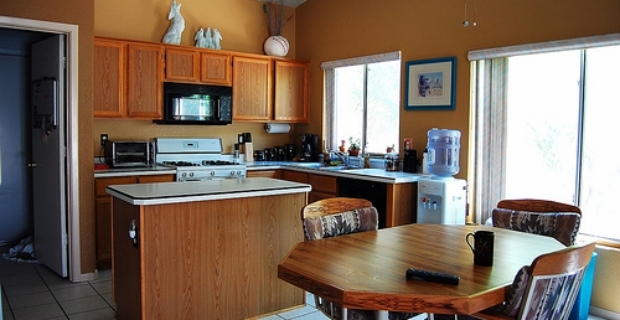 If you’re redoing the kitchen, make use of existing structures which are already in place. Maybe you're living in an old house with an open hearth. You can put your cooker on this part saving you money from knocking down the structure while preserving the original layout. Think of mixing materials for your kitchen counters. For example, you can use granite tops on oak cabinets and cupboards and utilise traditional tops with PVC or wooden cabinets. There are many possible combinations of country kitchen design ideas you can use in your remodelling or renovation projects. Whatever design you choose, the underlying principles stay the same. 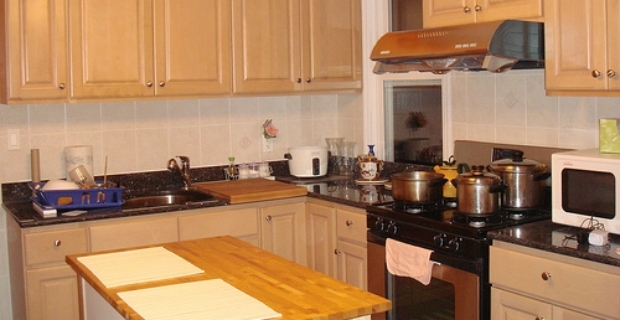 Your kitchen should make full use of space without overloading the area and unnecessary clutter. It must be functional, homely, and above all, something you love.